Entrelac knitting creates a unique and intriguing woven-look fabric, and it’s rather fun and easy to do! The art of entrelac knitting requires just a few special skills: picking up stitches, increasing, decreasing, and working short rows, all of which we’ll learn as we knit a stunning entrelac scarf. 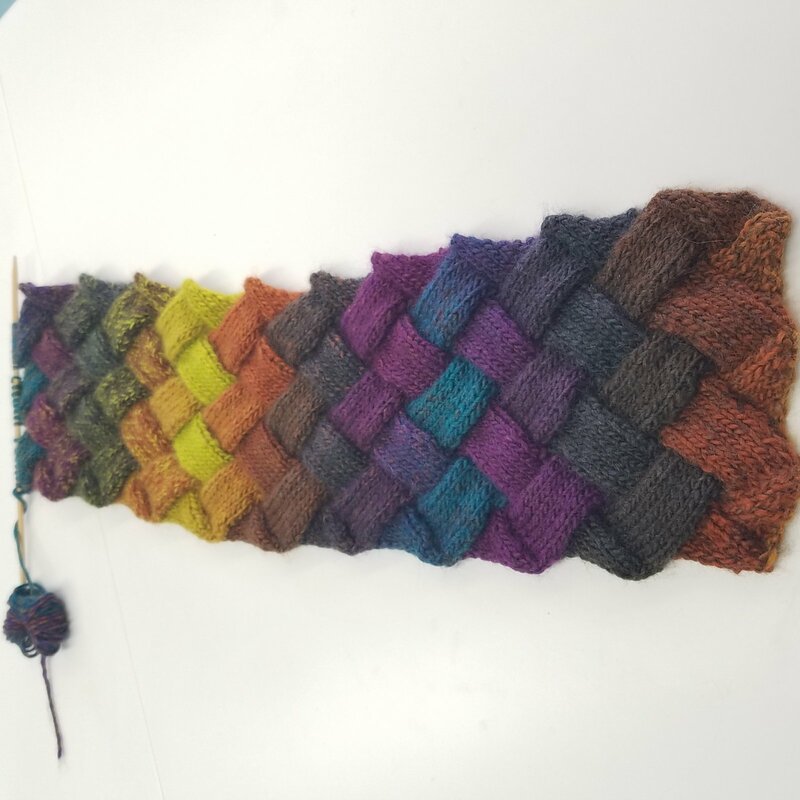 We’ll also have a chance to practice “knitting back backwards” – a skill that makes entrelac knitting easier to do and will have your friends thinking you’re a knitting genius!